Justin was lucky to have seen both his grandparents on my side of the family. His lola on his father’s side died when Justin’s dad was still in college, while Justin’s lolo on his dad’s side died before he could catch a glimpse of his one and only grandchild. 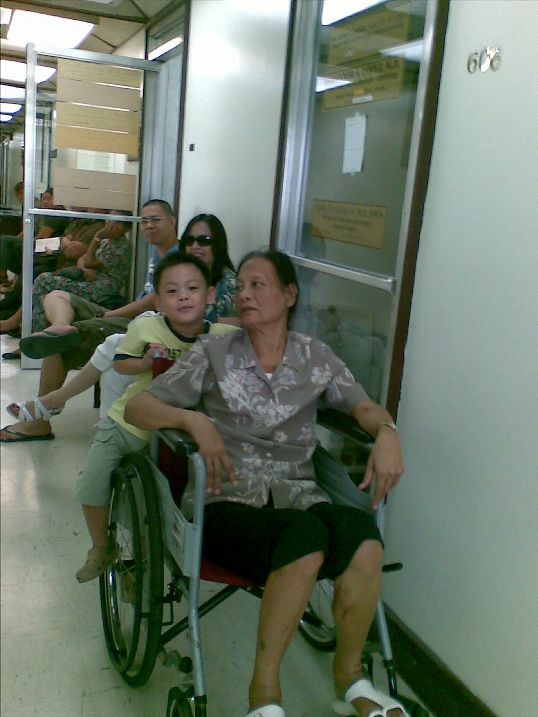 When I gave birth to my son, it was my Nanay, Justin’s lola, who helped me take care of him during my maternity leave. When Nanay suffered a minor stroke in 2007, I could not call her anymore to look after my son because the stroke weakened the right side of her body. So, Tatay, Justin’s lolo, came to the rescue! When I don’t have a yaya (babysitter) or when my husband and I had to leave the house, we would call Tatay for help, and he’ll be there in a jiffy. We never leave our son alone with just the yaya. Because Justin is the youngest grandchild, he is well-loved by his grandparents. Justin also loves his grandparents dearly, especially Tatay. And who wouldn’t love a lolo who plays with his grandchild? His grandparents would always be there, too, when there are special occasions to celebrate, like Justin’s baptism, birthdays, and graduation. Glad to know that Nanay's operaton went well ate. Swerte naman ni Justine andyan lagi sina Lolo. Iba talaga ang love nila lolo at lola no? same here–glad to hear that your Nanay's operation went well.Playful din pala ang mga Grandparents ni Justin.Lucky boy! Hi Tetcha, checking you out for Mommy Moments. Thanks for visiting at my blog. Justin is such a lucky for having wonderful grandparents, Tetcha…. Glad to hear your Mom is doing well and that she is recovering fast. grannies are really a blessing! happy MM! thanks for sharing pictures of your parents today… happy mommy moments! Good to hear that the operation went well.. my kids love their grandparents whom they call mama and papa.